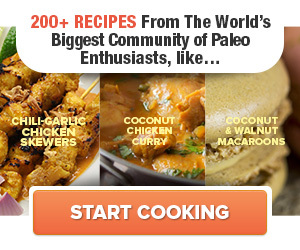 You’ve transitioned from eating processed junk to eating whole, clean foods. You’ve been killing it with your fitness, ditching constant cardio to add in strength training. You’ve been drinking water like a fish. And you’ve given Rip Van Winkle a run for his money when it comes to getting your sleep. Bottom line: You’re on a well-paved path toward a healthier, happier you. So why does it feel like your progress is stymied? It could be genetics or that your body just takes a little longer to catch up to new good habits. But it also could all boil down to one popular quote: “Enjoy the little things in life for one day you’ll look back and realize they were the big things.” While this saying really means something much deeper about life, break it down and it holds a lot of truth for the way you could be eating. Little things add up. And while they don’t feel indulgent because of their size, when it comes to fat loss, you may look back and realize they are the big things that are keeping you on a plateau. Here are some of the little eats that may be sabotaging your bigger goals. BLTs: While bacon, lettuce, and tomato sandwiches may not be doing your meal plan any favors, those aren’t the BLTs to which we’re referring. In this instance, the acronym stands for “bites, licks, and tastes.” If you cook three meals a day, and nibble a little here and there as you prep, not to mention be a good chef and taste your food as it cooks, the BLTs add up. While the point isn’t to count calories, you should know what you’re putting in your mouth throughout the day. 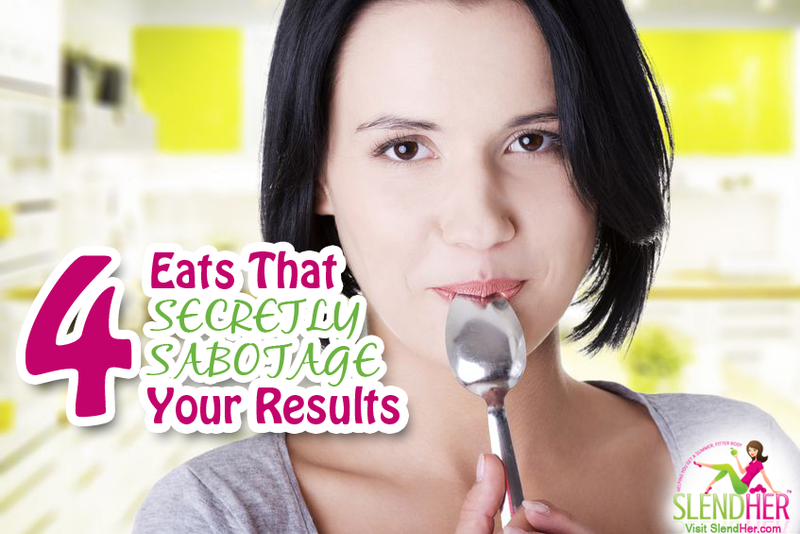 Stop the Saboteur: Make a weekly meal plan so that you know what you’re eating and when. Prep all the food for your week on Sunday to help limit the number of hours you’re in the kitchen with tempting BLTs. Also, be sure that the meals you’re prepping include lots of fresh produce. That way, if you do munch, you’re doing so with good options. Standing Snacks: When hunger kicks in hard, your body will want to binge. As you stand in front of the pantry, it’s easy to grab a handful of nuts or spoonful of nut butter as you make your bigger meal decision. Similar to a BLT, these standing snacks can be big setbacks if you’re not aware of what you’re taking in. Yes, almonds and nut butters are full of healthy fats and protein, but mindlessly grabbing and eating means you’re likely not being strict about portion sizes. 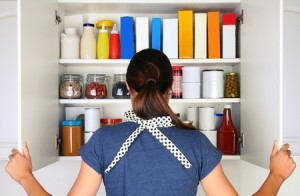 Stop being tempted by “standing snacks” and keep them out of sight in their own storage container. Stop the Saboteur: Store snack foods in a separate section other than where you go to grab main meal ingredients. Keeping it in a storage container with a lid is also helpful, as it will take a little extra work to get at it, making you more mindful when you have to open it. 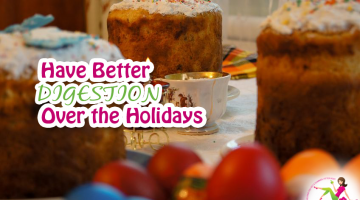 Again, a weekly meal plan will help take the guesswork out of food selection. Even if you don’t prep your food in advance, knowing what you need to make for each day will allow you to grab your ingredients with zero temptation. Portion Swell: If you were religious in the beginning with weighing and measuring your food, at some point you likely felt comfortable enough to eyeball your portions moving forward. Just as our parents used to say to us as kids, sometimes our eyes are bigger than our stomachs. Little by little, your portion size can increase, and you might not even be aware. Those little extra ounces can add up throughout the week. Stop the Saboteur: Break out the scale and measuring cups again to double check that your potions are still in check. Adjust where needed to make sure that you’re not overdoing it at meal times. Sneaky Sugars: You already know candy bars, ice cream, and sodas are full of sugars, which is why you’ve nixed them from your daily intake. However, there is sugar lurking in little things to which you might not have even given a second thought. Some examples, include: gummy and chewable vitamins, condiments like ketchup and barbecue sauce, fruit yogurts, dried fruit, and sports drinks. Many of these items are considered healthy, and since they’re used in such small quantities, you probably didn’t even give them much of a second thought. Stop the Saboteur: Read the labels of everything you eat and cut back, swap out, or eliminate the places where the unnecessary sugar is adding up. Have you hit a plateau with your fat loss goals? Share with others in the comment to get the support you need at this frustrating phase. 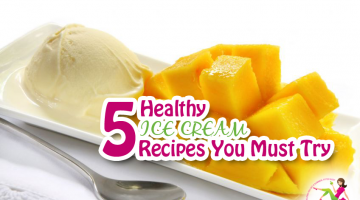 5 Ice Cream Recipes to Keep You Cool (and Healthy) This Summer!